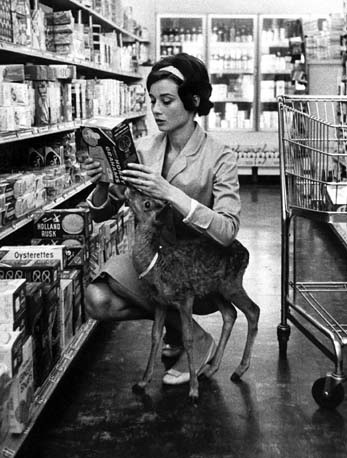 I love this picture of Audrey Hepburn with an adorable doe in a grocery store…. I find this totally surreal, so sweet, full of love, so full of beauty. It moves me deeply.